During 2018 Radio 2 had numerous presenter reshuffles. In May, long-time Drivetime host Simon Mayo was joined by evening DJ Jo Whiley in a new Drivetime format. The move proved unpopular with listeners and by October 2018 Mayo revealed his intention to leave the station. Mayo and Whiley's last show together was broadcast on Thursday 20 December 2018, with Mayo's final show on Radio 2 broadcast on Friday 21 December. Sara Cox was later announced to be the new Drivetime host, beginning in 14 January 2019. Additionally, in September 2018, Chris Evans announced that he would be leaving the Radio 2 Breakfast Show that he had presented since 2010 to move to Virgin Radio. It was later announced that from 14 January 2019 former Radio 1 Breakfast Show host Zoe Ball would take over from Evans. The BBC Pips are broadcast at 7 am and 8 am on weekdays, then again at 5 pm and 7 pm. Johanne Jo Whiley is an English radio DJ and television presenter. She was the host of the long-running weekday Jo Whiley Show on BBC Radio 1, Whiley was born in Northampton to Martin, an electrician, and Christine, a postmistress. She attended Campion School at Bugbrooke, near Northampton and studied applied languages at Brighton Polytechnic, the illness is congenital and Whiley is a carrier. 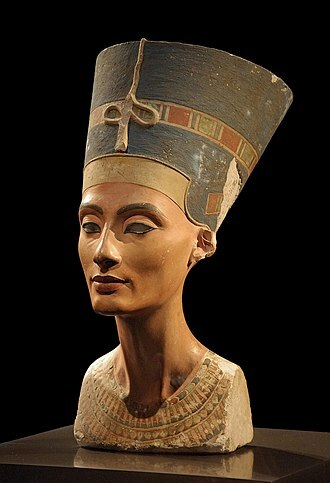 In 2006, she said that she had tested at each of her pregnancies. In Whileys final year of her degree, still unsure of what she wanted to do and it allowed anyone to get on the radio and required Whiley to attend shows and interview the musicians. After a year, Whiley left for City University London for a course on radio journalism. After writing many letters, she got a job as a researcher on WPFM, when the presenters Terry Christian and Gary Crowley left, she took over, gaining her first presenting role. Whiley moved on to BBC Radio 1 from September 1993 until March 2011, during the heyday of Britpop with bands such as Blur and she hosted a weekday evening show called The Evening Session with Steve Lamacq, which was oriented towards less-mainstream, non-dance music. Whiley presented her own show on Saturday afternoon in late 1995, from 1995 to 1998, Whiley was a regular guest presenter on Top of the Pops, initially co-presenting with fellow DJ Steve Lamacq before flying solo and alternating with Zoë Ball and Jayne Middlemiss. The three women are referred to by the Top of the Pops website as the 90s girls, the only occasion when all three presented together was on Christmas Day 1997. Whiley returned to the show twice between 2005–06 to co-present with lead presenter Fearne Cotton, in July 2009, Whiley published her autobiography, My World in Motion, on CD from Random House Audiobooks. From February 1997, Whiley had a weekday show, called The Jo Whiley Show. 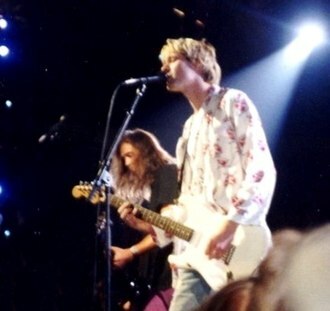 This included elements of the show, such as tour dates. When Simon Mayo left Radio 1 for Radio Five Live in February 2001, as of 2005, the BBC paid Whiley a salary of £250,000. 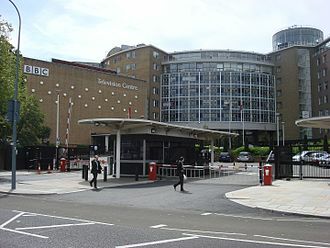 In July 2008, The Jo Whiley Show was fined £75,000 for misleading listeners for an incident involving a member of BBC staff posing as a member of the taking part in a competition. Jeremy Guy Vine is an English presenter and journalist. He is best known as the host of his own BBC Radio 2 programme which presents news, interviews with live guests and he is known for his direct interview style, and exclusive reporting from war-torn areas throughout Africa. Vine is the host of the BBC shows Points of View, Panorama, in 2015 he was a contestant in the 13th series of Strictly Come Dancing. Jeremy Vine was born in Epsom and he is the elder son of Guy Vine and Diana Tillett. His younger brother is the comedian Tim Vine, Jeremy is married to BBC News presenter Rachel Schofield. The couple married in September 2002 in East Devon, and have two daughters, Jeremy was educated at Lynton Preparatory School in Ewell, Aberdour School in Burgh Heath, and Epsom College. He played the drums in a band called The Flared Generation, at Durham University, he graduated with a 2,2 undergraduate degree in English. After a short stint on Metro Radio, Vine enrolled in a training course with the Coventry Evening Telegraph. A former punk, he is a fan of Elvis Costello, according to an interview he gave in March 2015 on his Radio 2 show, his favourite song is Whole Lotta Rosie by AC/DC. Vine is the patron of Radio St. Helier, a UK registered charity providing radio programmes to patients at St. Helier Hospital in southwest London. He has deplored the marginalisation of Christians in British society, saying that You cant express views that were common currency 30 or 40 years ago and he was named Speech Broadcaster of the Year in the 2011 Sony Awards. Vines career at the BBC included reading the news on radio in Northern Ireland, in 1989, he became a regular reporter on the BBC Radio 4 programme Today, filing reports from across Europe. 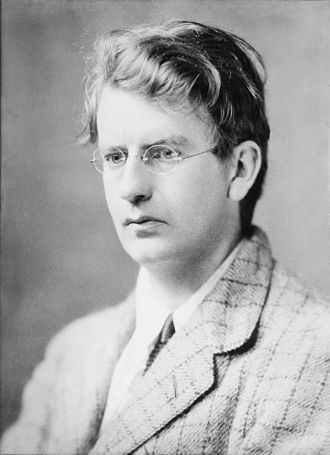 While working for Today, he published two novels set amidst the modern Church of England, including Forget Heaven, Just Kiss Me. The novels were not successful and Vine now regards them as juvenilia, in the mid-1990s, Vine became familiar with BBC TV viewers as a political reporter, reporting on the modernisation of the Labour Party. Kenneth Robertson Ken Bruce is a Scottish broadcaster who hosts The Ken Bruce Show on BBC Radio 2. Bruce was born in Glasgow, Scotland and he attended Hutchesons Grammar School, before training as a chartered accountant. He began his career with the Hospital Broadcasting Service in Glasgow. Bruce became an announcer for BBC Radio 4 Scotland and BBC Radio Scotland before it went on the air in 1978. He presented a Saturday morning show, in 1980, he took on the mid-morning slot and then, in 1983, he presented a daily afternoon current affairs show. He hosted the Ken Bruce Show on the BBC World Service in the late 1980s, Bruce has presented multiple shows on BBC Radio 2. He presented Radio 2 Ballroom programmes regularly from November 1980 until 1982 featuring Jim MacLeod, the Radio 2 Ballroom broadcasts are not mentioned by Ken Bruce much if at all and dont feature in his autobiography either. He joined Radio 2 more regularly in 1982 as a stand-in presenter, Bruce presented shows for BBC Radio Scotland from London. 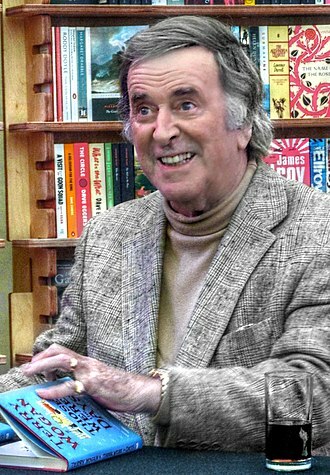 Bruce became a presenter for Radio 2 in 1984 when he assumed hosting duties for the Saturday late night show in addition to his continuing show on BBC Radio Scotland. 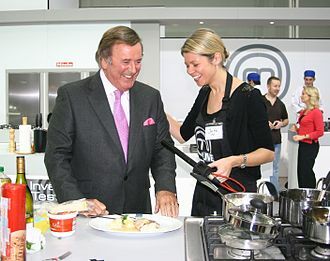 In January 1985, Bruce replaced Terry Wogan on the breakfast programme, since early 1992 he has hosted the mid-morning slot. As of 11 January 2010, Bruce follows Chris Evans at 9,30 am and is followed by Jeremy Vine at 12 noon, Bruces show emphasises music, including regular live performances. Competitions are usually music-based, with a song and dedications feature at 10,15 am. A music news slot with Matt Everitt appears at about 11,10 am on Thursdays, other regular features include the Record of the Week and the Album of the Week and the Tracks of My Years, where a celebrity picks two songs each day for their particular meaning. The Love Song is played at 10,15 am each day, preceded by dedications, the show includes the daily quiz, PopMaster. It previously included other competitions, such as Spin It to Win It and Words Dont Come Easily, PopMaster quiz returned to Bruces show in January 2008 with new jingles and a modified selection procedure where listeners had to register first and if successful the production team would call back. Radio 1 provides alternative genres after 7,00 pm, including electronic dance, hip hop, indie or interviews. It was launched in 1967 to meet the demand for music generated by radio stations. Recently, the BBC claimed that it targets the 15–29 age group. 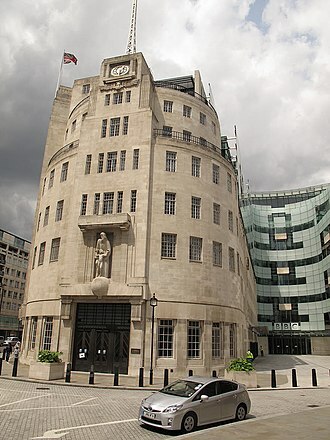 BBC Radio 1 started 24-hour broadcasting on 1 May 1991, Radio 1 was established in 1967 as a successor to the BBC Light Programme, which had broadcast popular music and other entertainment since 1945. Radio 1 was conceived as a response to the popularity of offshore pirate radio stations such as Radio Caroline and Radio London. Radio 1 was launched at 7,00 am on Saturday 30 September 1967. The first words on Radio 1 – after a countdown by the Controller of Radios 1 and 2, Robin Scott, welcome to the exciting new sound of Radio 1. This was the first use of US-style jingles on BBC radio, the first complete record played on Radio 1 was Flowers in the Rain by The Move. The second single was Massachusetts by The Bee Gees, the breakfast show remains the most prized slot in the Radio 1 schedule, with every change of breakfast show presenter exciting considerable media interest. Despite this, it gained massive audiences, becoming the most listened to station in the world with audiences of over 10 million claimed for some of its shows, in the early-mid-1970s Radio 1 presenters were rarely out of the British tabloids, thanks to the Publicity Departments high-profile work. Alan Freemans Saturday Rock Show was voted Best Radio Show 5 years running by readers of a music publication. In his last few months as controller, Johnny Beerling commissioned a handful of new shows that in some set the tone for what was to come under Matthew Bannister. One of these Loudnproud was the UKs first national radio series aimed at a gay audience, far from being a parting quirk, the show was a surprise hit and led to the networks first coverage of the large outdoor Gay Pride event in 1994. Bannister took the reins fully in October 1993 and his aim was to rid the station of its Smashie and Nicey image and make it appeal to the under 25s. Although originally launched as a station, by the early 1990s. Sky UK Limited is a telecommunications company which serves the United Kingdom. Sky provides television and broadband services, fixed line and mobile telephone services to consumers. It is the UKs largest pay-TV broadcaster with 11 million customers as of 2015 and it was the UKs most popular digital TV service until it was overtaken by Freeview in April 2007. Its corporate headquarters are based in Isleworth, formed in November 1990 by the equal merger of Sky Television and British Satellite Broadcasting, Sky became the UKs largest digital subscription television company. Following Skys 2014 acquisition of Sky Italia and a majority 90. 04% interest in Sky Deutschland in November 2014, the United Kingdom operations changed the company name from British Sky Broadcasting Limited to Sky UK Limited, still trading as Sky. Sky UK Limited is an owned subsidiary of Sky plc, with its current company directors being Andrew Griffith. Griffith acts as the Chief Financial Officer and the Managing Director for the commercial businesses division, after the two companies merged, subscribers could get access to both channels, and the sports channel Sky Sports became encrypted. In the autumn of 1991, talks were held for the broadcast rights for Premier League for a five-year period, ITV were the current rights holders, and fought hard to retain the new rights. ITV had increased its offer from £18m to £34m per year to control of the rights. BSkyB joined forces with the BBC to make a counter bid, Murdoch described sport as a battering ram for pay-television, providing a strong customer base. A few weeks after the deal, ITV went to the High Court to get an injunction as it believed their bid details had been leaked before the decision was taken. ITV asked the Office of Fair Trading to investigate since it believed Rupert Murdochs media empire via its newspapers had influenced the deal. A few days neither action took effect, ITV believed BSkyB was telephoned and informed of its £262m bid, and Premier League advised BSkyB to increase its counter bid. BSkyB retained the rights paying £670m 1997–2001 deal, but was challenged by On Digital for the rights from 2001–2004, in May 2006, the Irish broadcaster Setanta Sports was awarded two of the six Premier League packages that the English FA offered to broadcasters. Jeremy Jem Godfrey is a British music producer and songwriter. He won an Ivor Novello on 25 May 2006 for the best selling single of 2005, Thats My Goal, to date, Thats My Goal has sold 1,080,000 copies. In 2004, Godfrey formed the rock group Frost* who to date have released three studio albums and a live album. In the autumn of 2010, Godfrey was contacted by ex-Frank Zappa guitarist Mike Keneally, Godfrey toured for a week with the band before playing the Glasgow and Birmingham shows in the UK while Keneally went to Europe to play piano at Vai-Fest with Steve Vai. In the summer of 2012, Godfrey toured again with Satriani, in 2013, Godfrey mixed and co-produced the second album by LOSERS signed to Gung Ho. Recordings featuring XFMs Eddy Temple-Morris and Tom Bellamy from The Cooper Temple Clause, the single Turn Around was used as the backing music for the trailer for the fourth season of US television series Game of Thrones, while their single Azan was used on the trailer for film Hercules. UK pirate radio, unlicensed illegal broadcasting, was popular in the 1960s and experienced another surge of interest in the 1980s. There are currently an estimated 150 pirate radio stations in the UK, at the time, these stations were not illegal because they were broadcasting from international waters. The stations were set up by entrepreneurs and music enthusiasts to meet the demand for pop and rock music. The first British pirate radio station was Radio Caroline, which was launched by Irish music entrepreneur Ronan ORahilly, by 1967 ten pirate radio stations were broadcasting to an estimated daily audience of 10 to 15 million. The format of this wave of pirate radio was influenced by Radio Luxembourg, many followed a top 40 format with casual DJs, making UK pirate radio the antithesis of BBC radio at the time. Spurred on by the stations, landbased pirate stations took to the air on medium wave at weekends. By 1965 pirate radio had a British audience of 10 to 15 million, in reaction to the popularity of pirate radio BBC radio was restructured in 1967, establishing BBC Radio 1, Radio 2, Radio 3 and Radio 4. A number of DJs of the newly created pop music service BBC Radio 1 came from pirate stations, the UK Government closed the international waters loophole via the Marine Broadcasting Offences Act of 1967, although Radio Caroline continued to broadcast until 1990. 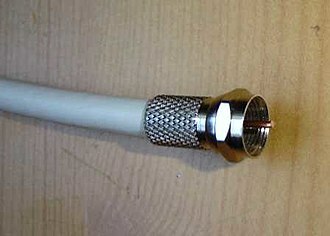 During this period, home-made medium wave/AM transmitters were constructed inside cheap. Around this time, VHF/FM transmitters were being built by more adventurous builders, a surge in pirate radio occurred when cheap portable transmitters became available and by the mid-1980s a 50 watt radio transmitter could be obtained for around £200, or could be built for less. The operation of a radio station required a good quality cassette recorder, a transmitter. 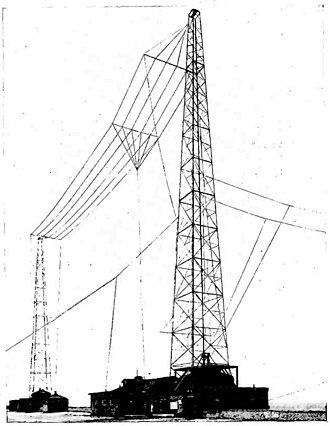 A40 watt transmitter broadcasting from the roof of a fifteen storey tower block could reach a forty-mile radius, Radio shows were often pre-recorded at home, with the pirate radio station operators setting up temporary transmitters on the roof of tower blocks. The 1970s and 1980s saw a wave of landbased pirate radio and these included community-focused local stations such as Sunshine Radio in Shropshire and Radio Jackie in south west London. 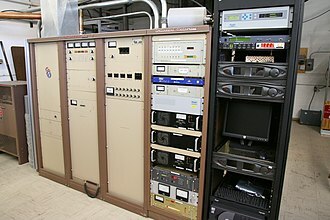 In the United Kingdom, the roll-out of digital radio is proceeding since engineering test transmissions were started by the BBC in 1990 followed by a public launch in September 1995. In the capital, London there are more than 64 different digital stations available. In addition to DAB and DAB+, radio stations are broadcast on digital television platform as well as radio in the UK. Digital radio ensemble operators and stations need a licence from the UKs media regulator Ofcom to broadcast. In the long term there will be a switchover from analogue to digital radio when the AM, the government has set criteria on the coverage and proportion of digital listening before this occurs. As of 2017 these criteria have not yet been reached and a switchover is unlikely before 2020, on the other hand critics say that coverage is not yet sufficient and the quality can be less than that of FM. 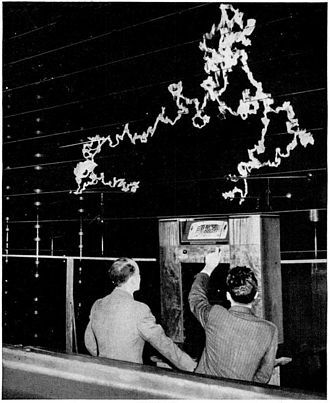 Experimental transmissions of the DAB Eureka 147 standard from the Crystal Palace transmitting station by the BBC started in 1990 with permanent transmissions covering London in September 1995. With the expansion of its network in the spring of 1998. 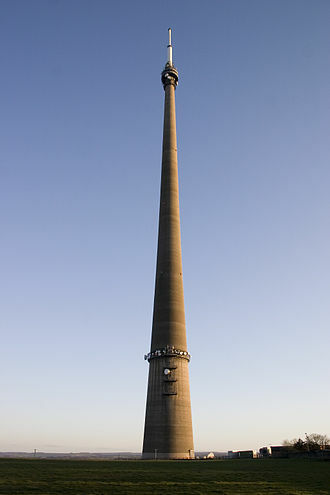 DAB+ full-time broadcasts began in 2016, the Broadcasting Act of 1996 allowed the introduction of national and local commercial ensembles in the United Kingdom. The first national ensemble licence for DAB from the Radio Authority was advertised in 1998, the licence was awarded to the GWR Group and NTL Broadcast, who since the launch were renamed Arqiva. The two companies formed the Digital One ensemble, which began broadcasting on 15 November 1999. The Digital One ensemble has grown and is available to over 90% of the UK population although an Ofcom report into Digital Radio in 2015 puts robust household coverage at 89. 8% of the UK. In the United Kingdom, the uptake of DAB has increased since the launch of the BBC national DAB ensemble in 1995, lower prices, new radio stations and marketing have increased the uptake of DAB radio in the UK. Digital radios were first sold as car radios in 1997, priced around £800, in 2001, Digital One invested in Frontier Silicon to produce a new processing chip which would allow cheaper portable radios to be produced. The Scarborough Spa Orchestra, the last surviving professional seaside orchestra, gave a concert of light music in August 2009. Previous logo, from the 2014 Contest, held in Copenhagen. Jem Godfrey on stage live with Frost* at Rosfest-Keswick 5 February 2009.